Today, we’ve got an incredible vehicle in our spotlight, as it’s a pre-owned version of one of the vehicles we actually sell new! We’ve already talked about the Pagani Huayra plenty around our website, and now we get to highlight a 2016 model that is currently for sale right here in North Miami Beach FL. This specific model is the coupe version with a Bianco Benny exterior paint job matching its Ametista Red interior swimmingly. With only 412 miles on the odometer, this beast of a machine still has plenty of life left to live in your collection, so hit us up if you’re interested! You can find all kinds of information about the Pagani Huayra around our website, but we figured we’d highlight a few of the specs & features found in this vehicle for you here today. For instance, we thought you might like to be reminded of its engine. 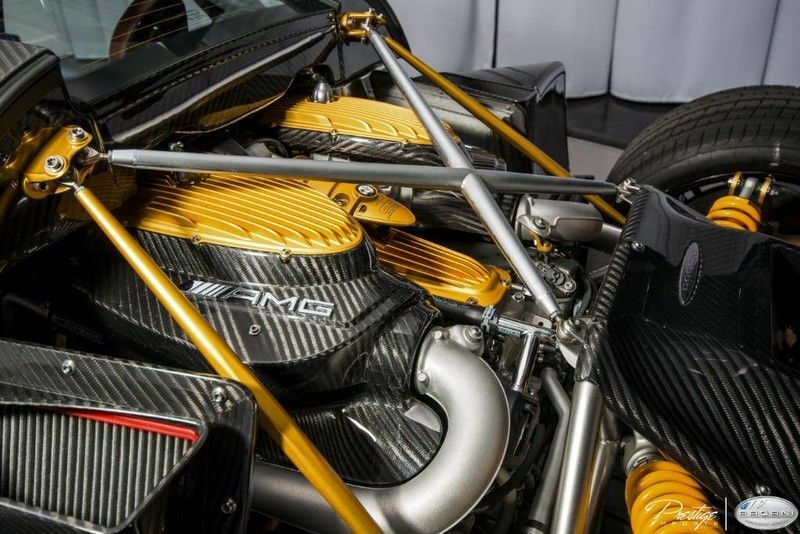 The Pagani Huayra is powered by a special Mercedes-AMG V12 twin-turbo engine that is able to generate a whopping 730 horsepower and 738 pound-feet of torque. Thanks to these numbers, and the coupe’s 7-speed gearbox, the Pagani Huayra is capable of hitting 60 miles per hour in just 3 seconds and a top speed of 230 mpg. A vehicle like this doesn’t need quite as many entertainment or convenience options as a normal premium vehicle, as its performance delivers enough to make up for whatever it lacks. But the cabin is extremely comfortable, luxurious, and you’ll enjoy every time you get behind the wheel. If you have any other questions about this used Pagani, don’t hesitate to give us a call right here at the sales desk. We look forward to hearing from you. This entry was posted on Wednesday, March 21st, 2018 at 3:54 pm	and is filed under Pagani. You can follow any responses to this entry through the RSS 2.0 feed. You can skip to the end and leave a response. Pinging is currently not allowed.